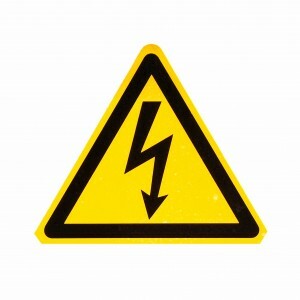 Doing your own electrical work isn’t worth the risk! There are many entertaining home improvement shows on a few different networks. While these shows do provide a lot of good information, viewers need to keep in mind that the people on them are licensed professionals. They have been trained and tested to be able to do what they do. The unfortunate thing about all of these great shows is that they make homeowners feel like they can tackle almost any home improvement job themselves. This is not only false, it’s actually quite dangerous. These are just a couple of the things that can happen when an un-trained person attempts electrical work. Overloading a circuit, bad connections, using the wrong gauge of wire, and so many more are all avoidable mistakes with big consequences. They can all cause overheating and sparks, and they can also cause fires. Quite possibly the most obvious danger of doing your own electrical work is the possibility of being electrocuted. Electrocution is more than just a little sting. It’s easy to recover from banging your finger with a hammer, but if you get a bad enough shot of electricity it can actually kill you. Avoid injuries, just call an electrician. If you don’t fully understand exactly what you’re doing, it can be difficult to make your work to code. If your electrical work is not up to code, this can cause expensive (and potentially dangerous) problems. This is especially important if you plan on selling your home. Many communities will require that you obtain a permit prior to doing any electrical work. This is to make sure the work is done right the first time. So you’ve managed to get through your electrical work without causing any problems, but if you didn’t do absolutely everything right there are still things that can go wrong. Even for projects that seem simple, there are little things that can cause expensive mistakes. You can hang up that new ceiling fan! All you need to do is connect a few wires and screw everything in, right? Actually, no. Properly installing a ceiling fan is more complicated than just screwing a few things in. If ceiling fans are not installed by trained professionals, they can fall. This poses a threat not only to your home, but to your family and friends as well. A trained electrician will know exactly what products to use for the job, from replacing an outlet to re-wiring your house. There are so many different gauges and types of wire, only a trained professional should be trusted to pick the correct things. Call in the Professionals from TriStar Electric! This entry was posted on Friday, July 21st, 2017 at 6:08 pm. Both comments and pings are currently closed.